blends, allowing great results with bright colors. Print on multiple fabric types, both light and dark. Achieve sharper and more precise images. Light Magenta, Yellow, Red and White. We custom manufacture any Spot Color. color reproduction and superior print longevity. color profile or flush the lines, it's Plug & Print just like the original. 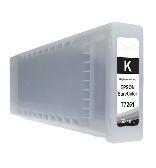 This ink bags easily fit into any Brother OEM GT-5 or GT-7 cartridge. accurate color reproduction and superior print longevity. 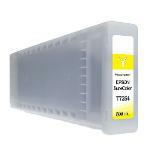 specifically for EPSON's SureColor F2000 Printer. durability and allows you to print on multiple fabric types, both light and dark. the color profile or flush the lines, it's Plug & Print just like the original.